^ "Thurmont town, Maryland 互联网档案馆的存檔，存档日期2011-11-24.." U.S. Census Bureau. Retrieved on February 4, 2011. ^ "Frequently Asked Questions." Catoctin Mountain Park, Retrieved on February 4, 2011. "10. 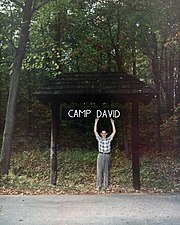 Where is Camp David? 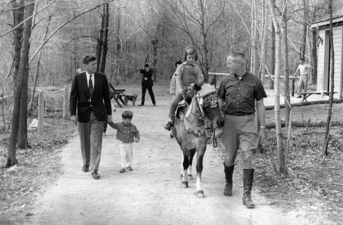 The Presidential Retreat is within the park however, it is not open to the public and its location is not shown on our park maps for both security and privacy. 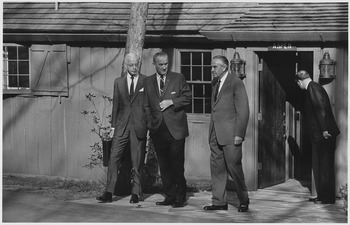 If you're interested in historical information, visit our Presidential Retreat webpage." ^ 12 WPA Projects that Still Exist. How Stuff Works. Publications International, Ltd. [2009-03-11]. 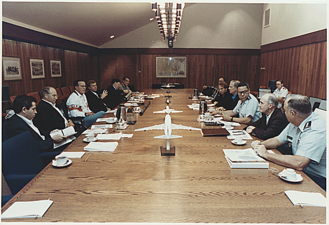 ^ 6.0 6.1 Camp David. Whitehouse.gov. [2009-06-29]. （原始内容存档于2009-06-30）. 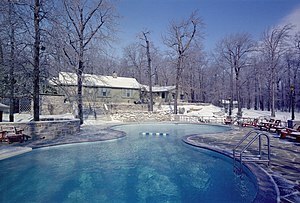 ^ Thatcher Reagan Camp David sofa 1984.jpg. 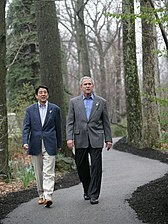 ^ Brown to meet Bush at Camp David. news.bbc.co.uk. 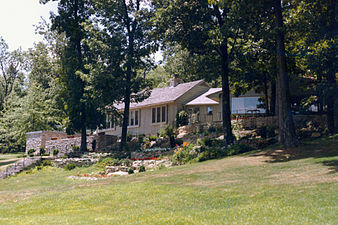 2007-07-26 [2011-08-06]. 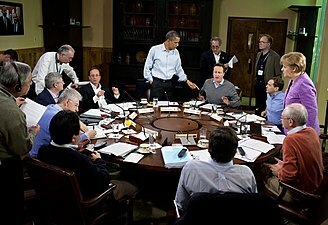 ^ White House Moves G8 Summit From Chicago To Camp David. CBS Chicago. CBS Chicago. 2012-03-05 [2012-05-18].